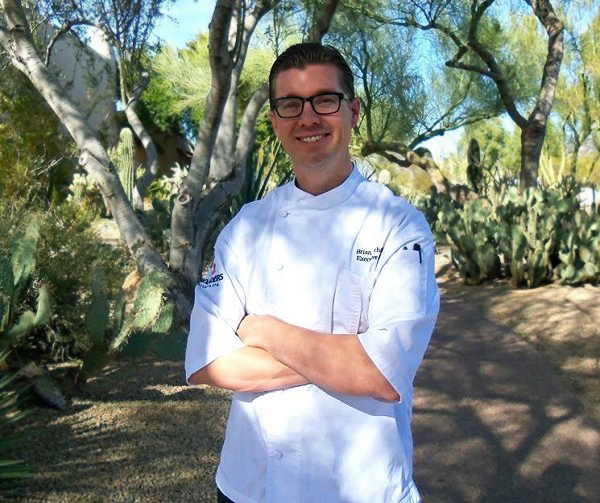 A native of Phoenix, Chef Brian Archibald’s love affair with food dates back to his early childhood. He remembers “camping and fishing with my dad we used to smoke our catch after the first night’s dinner.” While growing up, working in the kitchen with his mom and training in his high school’s culinary arts program ignited his passion for cooking. He landed a scholarship to attend the legendary California Culinary Academy in San Francisco where he realized the superior taste of ingredients picked fresh from the garden. Chef Archibald’s eclectic background encompasses cooking with many of the top toque chefs, including New York’s legendary Chef Daniel Boulud, as well as cooking at the famed James Beard House. Most recently, Archibald won the Food Network’s Beat Bobby Flay Competition, aired nationally in February 2016. In addition to his triumph on television, Chef Brian Archibald has won the heart and admiration of his many customers.